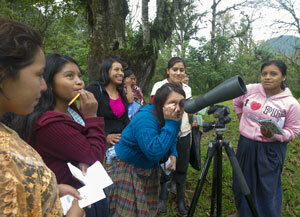 Huntington-Oyster Bay Audubon is proud partners with Community Cloud Forest Conservation (“CCFC”) in Guatemala. 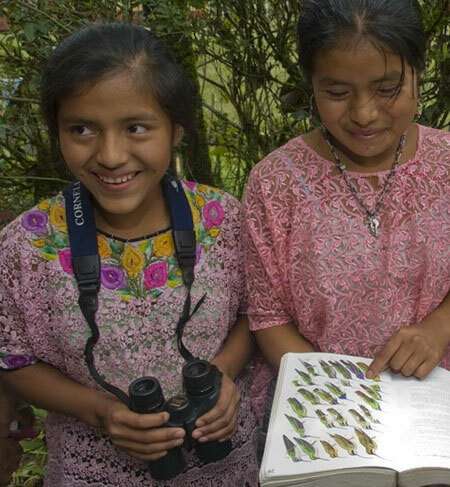 Each year we provide two scholarships for two young Guatemalan women to continue their schooling beyond the 6th grade and we also sponsor the BirdSleuth International Connecting Kids Through Birds (“Kids and Birds”) curriculum in seven remote Mayan village schools. In order to earn the scholarships, which are privately funded, each scholarship recipient must attend agro-ecology camp, participating in the Women in Agroecology Leadership for Conservation (“WALC”) program where they are taught sustainable agricultural practices, conservation of the cloud forests and family planning. Young women that show leadership skills in this scholarship program are invited into teaching roles for the “Kids and Birds” program. 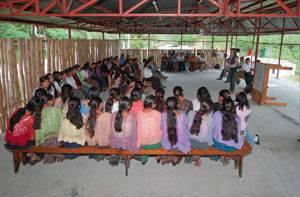 These young women teach the “Kids and Birds” curriculum to younger students in remote mountain villages. 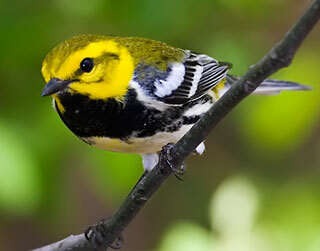 This curriculum, created by the Cornell Lab of Ornithology, introduces elementary and secondary students from remote, rural village schools to conservation through the observation of birds and their habitats. All of the teachers are young women who have completed at least one WALC 25 day workshop. The curriculum is composed of ten lessons introducing students to basic biology and avian ecology. In addition to “Kids and Birds”, the students are exposed to other conservation lessons, including agro-ecology and reforestation. 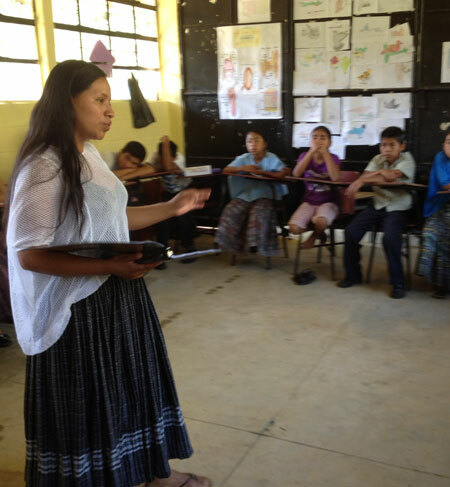 Why are we sending girls to school, as well as sponsoring programs in Guatemala? The answer is simple. By providing these scholarships we are doing our part to protect birds that visit our backyards and natural areas in the warmer months by contributing to the conservation of the cloud forests that they call home. 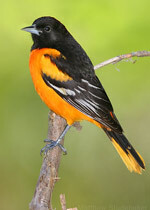 Did you ever stop to think about where the Baltimore oriole you are enjoying in your backyard spends most of his time? What many people don’t realize is that “our” birds of spring and summer are really just visitors, and actually live the majority of their lives in tropical countries such as Guatemala! 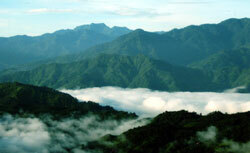 Guatemala is a beautiful country, and consists of forested mountains, glimmering lakes, and extensive wildlife. It is a biologically rich country with over 720 species of birds, many of which are familiar to us. There is a high diversity of ecosystems and in fact, Guatemala represents nine different biomes, or geographic areas, that occur from sea level up to more than 4,000 meters above sea level. In the heart of Guatemala's central highlands are the two mountain ranges of cloud forests, the Sierra Yalijux and the Sierra Sacranix. 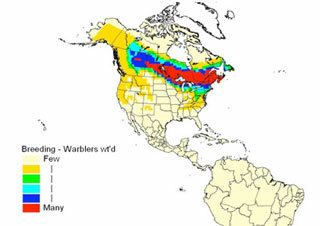 These two mountain ranges have been designated Important Bird Areas by BirdLife International. 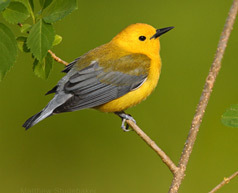 Over thirty species of neotropical migrants that visit Long Island call the cloud forest their home in winter, including: black-billed cuckoo, yellow-billed cuckoo, olive-sided flycatcher, wood thrush, golden-winged warbler, blue winged warbler, prothonotary warbler, worm-eating warbler, Lousiana waterthrush, Kentucky warbler, black-throated green warbler, hooded warbler, Northern waterthrush, American redstart, chestnut-sided warbler, Nashville warbler, Canada warbler, Baltimore oriole, Blackburnian warbler and Swanson’s thrush. 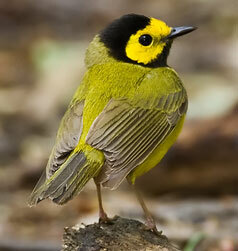 Unfortunately, bird populations are declining around the world due to a myriad of factors. In Guatemala deforestation is the main threat to the ecosystem since the local custom is to slash and burn vegetation in the areas to be farmed. In addition, monocultures are expanding rapidly in Guatemala due to the need to produce more efficiently to be able to compete in big export markets. As we know from our invasive species problems here on Long Island, monocultures crowd out native species, threatening ecological health and diversity. In addition, communities face many other challenges, including the lack of education, illiteracy, economic and social marginalization, extreme poverty, and runaway population growth. With this in mind, reaching out to the younger generation is crucial in preserving local habitats. Instilling a pride and love of the forest, as well as providing the education and tools needed for sustainable agricultural methods will help preserve the cloud forest. More than a just an average scholarship, the WALC program allows students to learn about nutrition, soil conservation, organic fertilizer production, integrated pest management, basic garden ecology, vegetable production, propagation of traditional crops, fruit tree management, production planning as well as family planning. 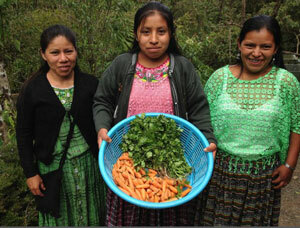 Students learn to produce healthy food in harmony with the environment and participate in reforestation projects. 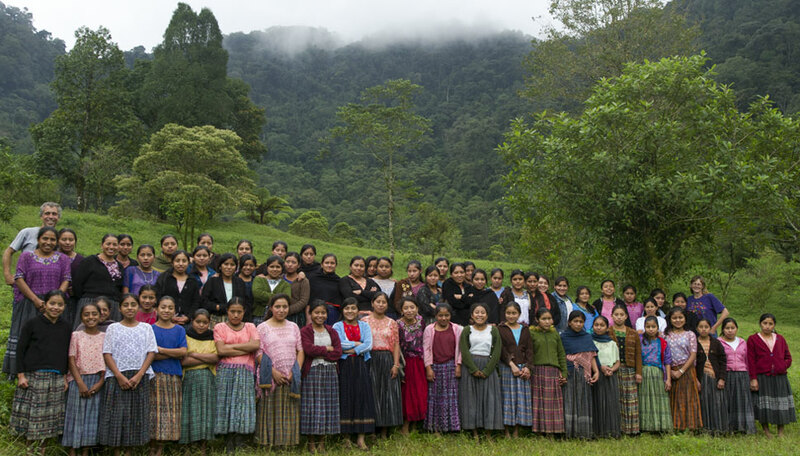 Young women receiving work study scholarships come from the villages that border the cloud forest. As they work and learn on the school's agroecology campus, they recognize and appreciate the beauty and value of the forest that surrounds them and become committed to conservation. Why focus on girls? There are many things that can be done to alleviate poverty and protect cloud forests, but in undeveloped countries such as Guatemala, education is of paramount importance. Education changes lives and transforms communities. For most young women, school beyond the sixth grade is out of reach. Faced with limited resources, parents are more likely to send their male children to classes. Girls then feel they have no choice but to marry at a very young age and start producing children, thereby adding to the overpopulation of these areas, causing further stress on the environment. It has been proven around the world that by empowering women, you enrich and strengthen entire communities. These scholarships provide an option that these girls otherwise would not have. They pay it forward by teaching the “Kids and Birds” program to younger students which then opens even more hearts and minds to the importance of bird conservation! Education benefits humans, but at the end of the day, it benefits the birds of the forests because a thriving and healthy indigenous people will protect and conserve their natural resources. 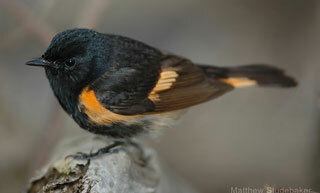 As you feed your Baltimore oriole an orange slice, or head out for warbler madness during migration, it is very easy to forget that these birds actually spend most of their time in the tropics. While it is vital that natural areas are preserved in the tropics, it is not enough to just set aside land. We must ensure that the local people who call that land home are given the knowledge and tools needed to protect the natural resources surrounding them. Habitat can be “preserved”, but without the cooperation of neighboring communities, these preserves will not be protected by those who are in the best position to act as stewards. Forests will still be cut down, wildlife killed for food, land degraded and its beauty ravished by non sustainable agricultural practices. Sending children to school in order to provide them with a better life and teaching them to cherish, protect and sustain their surroundings is a vital step in the process. In conservation, like links on a necklace, every component fits together. Migrant birds travel thousands of miles to reach their breeding grounds, making stops along the way, acting as traveling ambassadors for conservation. By helping to provide youths in Guatemala with the tools needed to farm sustainably while instilling in them a sense of pride in their land, and educating them on the importance of conservation, we are working to ensure that birds are protected and have a bright future. It is all connected. We are all connected. Investing in indigenous youth is investing in conservation of birds. 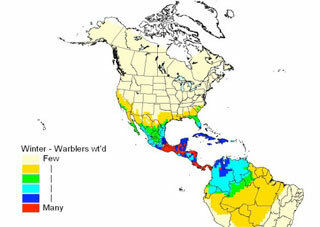 The Baltimore oriole in your yard today might winging its way back to Guatemala tomorrow. We need to protect birds, not just on a local level, but in their winter homes, stopover sites during migration, and breeding grounds. Conservation of birds is a global effort and we hope you will support us as we do our part to protect our feathered friends in every step of their journey!